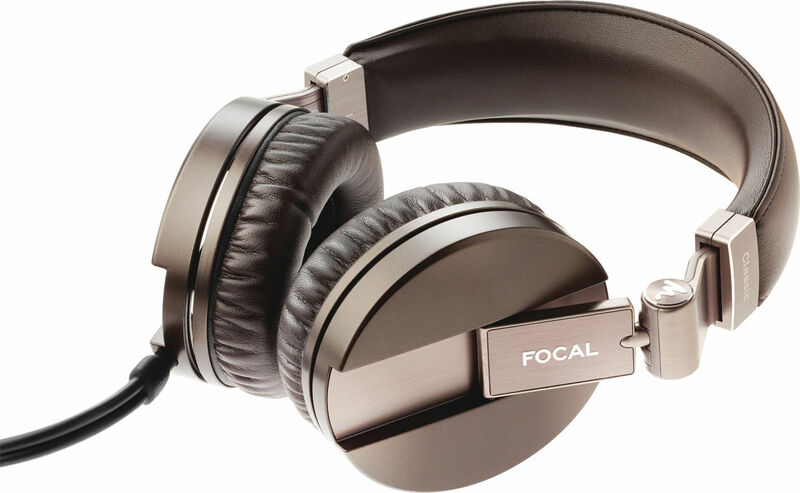 Starting in 2012, Focal began selling headphones, diversifying its product line. Last year, the company expanded its offerings further by introducing two new models. This week I want to share my impressions of the Spirit Classic headphones, which were designed for at-home listening. Although Focal’s first headphones, the Spirit Ones, were above average, they nonetheless left me wanting more. When I picked up the Spirit Classics, I could immediately tell that they were of better quality, with more heft than the Spirit Ones. They are made with high-quality materials and bear various marks of their robustness: the anodized-aluminum bronze and chocolate parts, the imitation leather headband, the simultaneously soft and firm ear cushions. The production quality is impressive. The headphones also benefit from a “premium” level of presentation: they come in a lovely box, which really highlights their attributes. The Spirit Classics are accompanied by two cables: 1) a 4-m cable equipped with a gold-plated connector that allows you to move around as you enjoy your at-home listening experience (it comes with a 3.5 mm/6.35 mm plug adaptor) and 2) a 1.4-m detachable cable armed with a remote control and microphone for taking calls, which makes for versatile use with your smartphone or tablet, for example. Although the Spirit Classics are generally quite comfy, the headband is rather stiff. Their snugness means you won’t risk losing them, but the headband’s rigidity keeps the headphones from being truly comfortable. Of course, the tight fit keeps the ear cups firmly on the ears, which, by insulating against ambient noise , lets you focus on the music. However, those who sport eye glasses may experience some discomfort when wearing the headphones for prolonged periods, as they will press the arms of your glasses into your head. The memory foam ear cushions are of appreciable size and envelope the ear. They hug the ears without confining or “suffocating” them. The Spirit Classics weigh 310 grams, which is on the high end for this class of headphones, clearly making them more suitable for at-home use. Indeed, Focal fully promotes that sort of usage. 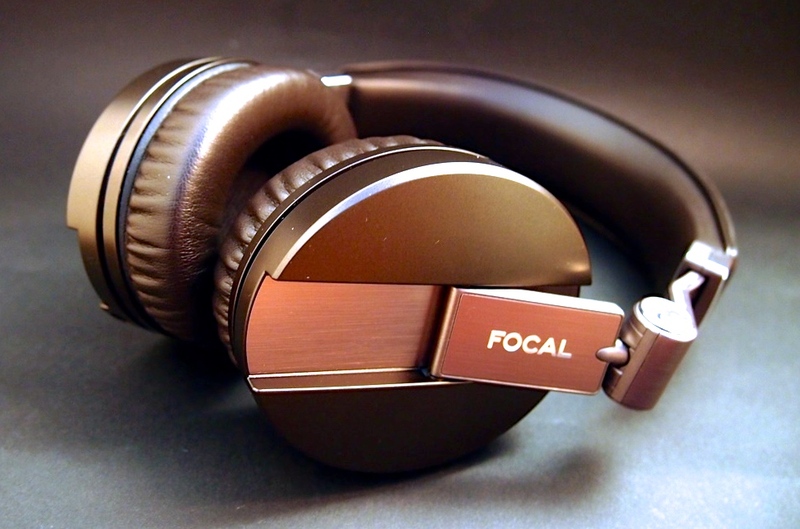 Focal highlights that it designed and developed 40-mm drivers made from a Mylar-Titanium alloy for use in these headphones; they bring together rigidity, lightness, and damping with a view to preserving the full range of the audio signal. The cone’s light weight (86 g, well below the 110 g average) allows for a quicker, more dynamic rendering of the signal. I found the bass to be solidly present, full, and—most especially—modest. One of the major problems with a large number of headphones is that the bass is overwhelming. Although initially flattering and flashy, excessive bass will inevitably result in auditory fatigue. Plus, it changes the spectral balance of the original recording. I found the mid-bass frequencies to have depth and a certain warmth. The rest of the spectrum was neutrally conveyed. The goal is clearly to stay faithful to the music’s message. What was particularly surprising was the detailed rendering of the very cohesive, balanced sound. Don’t let these headphones fool you with their sedate, somewhat bourgeois appearance. They are actually rather lively and definitely pack a punch, with their no-holds-barred, undistorted reproduction. Their remarkable attributes should bring your favorite tracks to life. The bad surprise on the box’s label ! Unfortunately, there is one issue that has definitely cooled my ardor for the Spirit Classics. 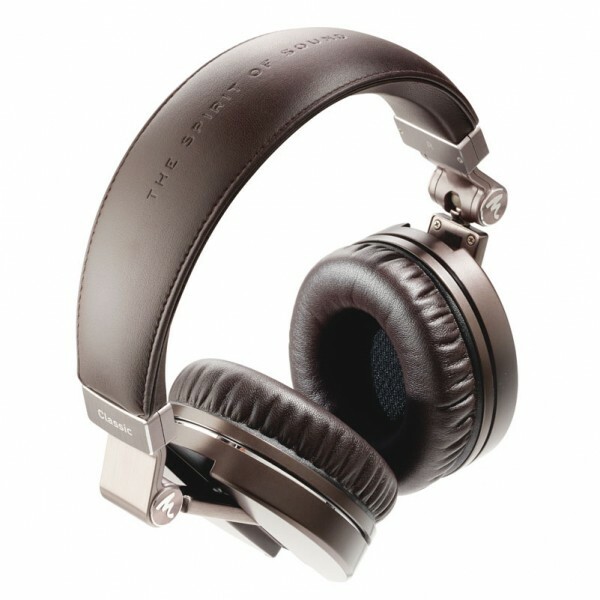 Although the headphones were entirely designed by Focal engineers in France, they are manufactured and assembled in China (as are all the brand’s headphone models). I spoke with several major figures in the HIFI industry, who said that, when it comes to microacoustics, it is extremely complicated to harness the necessary expertise and put in place manufacturing procedures here in France. However, although Aëdle, a small headphones company, have also outsourced the production of their microacoustic components to Asia (Taiwan), their devices are assembled in Brittany. In my opinion, it is highly disappointing that the flagship of French HIFI has not made the same choice, given its unquestionable industrial resources. In closing, I just want to say that I was definitely seduced by the lively, dynamic sound produced by these headphones, whose resolution and level of detail were excellent. I appreciated the fact that the Spirit Classics remained neutral in their reproduction of the music’s message, which contrasts with all too many comparable products that greatly color the sound (and cost a lot more!). Compared to the other models out there, these headphones are competitively priced at €299, especially given their production and sound quality. The Spirit Classics are a good choice for anyone who is looking to spend some one-on-one time with their favorite tracks. You can get intimate with your favorite artists. The quality of the parts and overall product suggest that these headphones will stand the test of time. This entry was posted on 13/03/2015 by Aublanc in Accessories and tagged focal, focal headphones, focal spirit, focal spirit classic.